Exceeding industry standards and valuing client relationships. E-Pro Consultants assists businesses large and small with all your merchant service needs. Take payments easily anywhere, anytime from your mobile device. See how we can improve on your current processing system. We are there for you wherever and whenever you need us. Why Choose E-Pro Consultants for Merchant Payment Solutions? We understand that all businesses big and small go through growth and change. E-Pro Consultants will work hard to help you find the best options for your current business needs anytime, anywhere. We help avoid costly missteps because we work for YOU — not the credit card companies. What sets E-Pro Consultants apart is the customer service we provide, not only during the initial stages of setting up an account, but also long after the sale. You can rest assured that your system is doing its job, so you can focus on doing yours. We provide live customer service support not only during the initial account setup, but also long after the sale. No matter your merchant needs, E-Pro Consultants will work diligently to find a POS system that will work for you. E-Pro Consultants is transparent through the entire sales and setup process. This means no hidden fees or confusing and complicated last-minute information. Whether you’re just getting started or have been well-established for years, E-Pro understands that every business has its own set of needs, and we’re ready to help! E-Pro is based in the Interbay neighborhood of Seattle, but we service the entire greater Puget Sound area, from Bellingham to Olympia to the Cascades — so give us a call today! 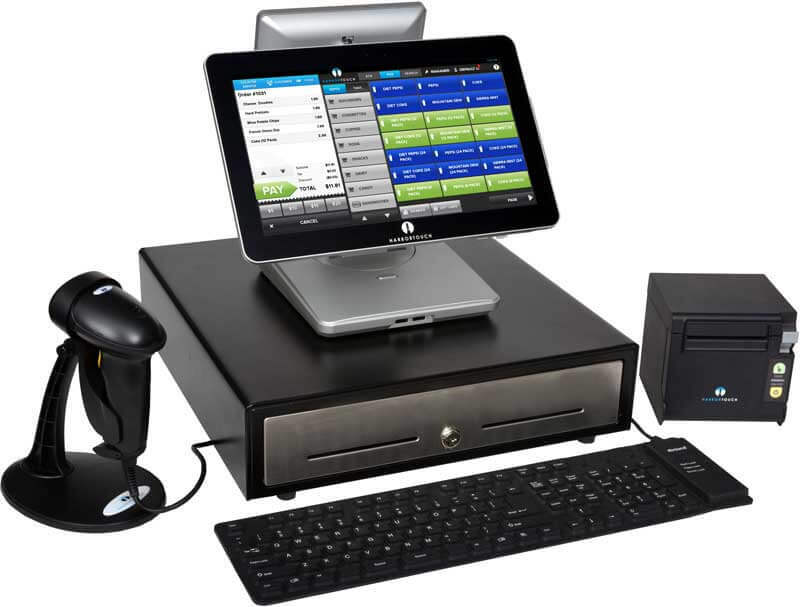 Harbortouch combines the service of a traditional POS system with the simplicity of a modern tablet. PayAnywhere’s free credit card reader transforms your Apple or Android smartphone or tablet into a mobile credit card reader. E-Pro Consultants can also provide many other payment system options. Contact us, and we’ll find the right fit for your business.